The much lauded piano quartet Ensemble Made In Canada (EMIC) will perform the next concert in the pro series season at Brandon University (BU). The pro series concert will take place on Tuesday, Jan. 29, at 7:30 p.m., at the Lorne Watson Recital Hall in the Queen Elizabeth II Music Building. 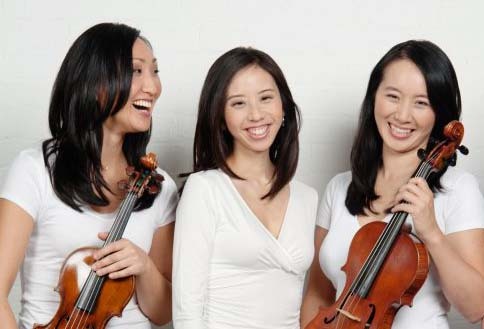 Continuing their concert tour across the country, the four award-winning musicians — violinist Elissa Lee, violist Sharon Wei, guest cellist Trey Lee, and pianist Angela Park — stop in Brandon with their formidable project, entitled The Musical Mosaïque. The venture is an hour-long weaving of 14 new piano quartets, each conveying the essence of a particular Canadian province, territory or region. The members of EMIC commissioned 14 Canadian composers of varying genres, including classical, jazz, singer-songwriter, electronic and traditional First Nations music, to contribute piano quartets to the project. The concept underlines the diversity and multitude of cultures, styles and sounds fact represented in Canadian music. While the musicians perform an aural mosaic created by the weaving of these singular quartets, audience members are invited to draw their reactions on tiles, adding a visual component to the evening’s mosaic theme. The tiles created so far can be viewed at MosaiqueProject.com. Tickets for Tuesday’s concert are $15 for general admission and $10 for students, seniors and alumni. 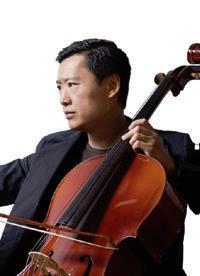 Tickets are available at the door or in advance at the Main Office of the School of Music. So that this event may be enjoyed by all, please contact Joyce Burba in the School of Music Main Office in advance by calling 204-727-9631 or emailing Burba@BrandonU.ca with any accessibility considerations. The pro series continues on Tuesday, Feb. 12, at 8 p.m., with an annual highlight, the Faculty Concert, which will also be held in the Lorne Watson Recital Hall. Please note that seating in the Lorne Watson Recital Hall is limited and that programmes are subject to change. For an up-to-date listing of pro series and student performances, please visit Events.BrandonU.ca/Events/Category/Music.